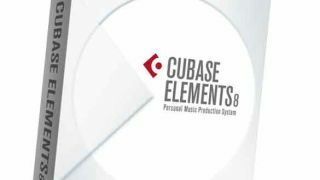 Steinberg has announced the release of Cubase Elements 8, the cut-down, entry level version of its heavyweight DAW. Following the release of respectively top-end and mid-range Cubase Pro 8 and Cubase Artist 8, Elements 8 completes this generation's line-up. It's available right now for £73/$99, or as a free 30-day trial. You can grab it direct from Steinberg, where you'll also find details about upgrade discounts and a grace period for recent buyers of Elements 7.